Gallant flips Ke$ha's new single "Die Young" completely up its head to create a wildly unique and imaginative reinterpretation of the song that perfectly underlines its original pop brilliance. The New York singer explains that when he first heard "Die Young" he was immediately inspired to cover it. "I really loved the song," Gallant tells me. "The chorus is incredible because it really establishes itself as a multidimensional character with the ability to tell a unique story in any given situation." 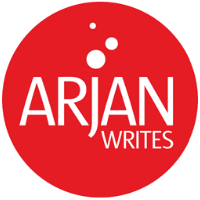 Frequent readers of ArjanWrites.com may remember that I first alerted you about Gallant last year when I posted "Party Girl," a stomping pop forward tune that was produced by none other than Madonna pal William Orbit in collaboration with DJ Teenwolf. I also featured an acoustic version of Gallant's "Norway" a few months ago that provided listeners with a few more clues about how his developing brand of pop. Gallant tells me that over the past five months he has been working with producer Felix Snow (Eve, Shaggy) on an EP called "Zebra" that he is looking to release sometime early next year. In between a couple of recording sessions, the two decided to record a cover of "Die Young" and stir their creative juices. Gallant remembers, "Felix and I turned off the lights, opened all the windows in his high-rise, lit a candle and recorded this cover of Ke$ha's "Die Young.'" Gallant details his creative vision for the cover and explains that he wanted to emphasize the song's darker undertones while maintaining its all-inclusive pop spirit. "We knew that if we sort of stylistically inverted the original - almost like processing the negative of a photograph - we could preserve its core vision while presenting it in a way that was more specific to our journey thus far," he explains. He adds, "We also really wanted to see if we could reveal more about the song's dark subtext if we brought it into our world. A few tracks on the EP have a similar ghastly vibe and I feel like we were able to squeeze out some leftover emotions on this recording." The result of Gallant and Snow's inspired nighttime recording session is an absolutely breathtaking piece of work that's one to cherish. Driven by subtle, slow-churning synths, haunting vocal harmonies and Gallant's pitch-perfect falsetto vocals, Gallant and Snow serve up a cover of "Die Young" that is best described as a moody and nocturnal version of Ke$ha's upbeat original. One of the cover's biggest accomplishments is that it perfectly embodies the song's empowering message of living every day like it's your last. "Let's make the most of the night," Ke$ha suggest on "Die Young," and that's exactly with Gallant and Snow did. Highly recommended.